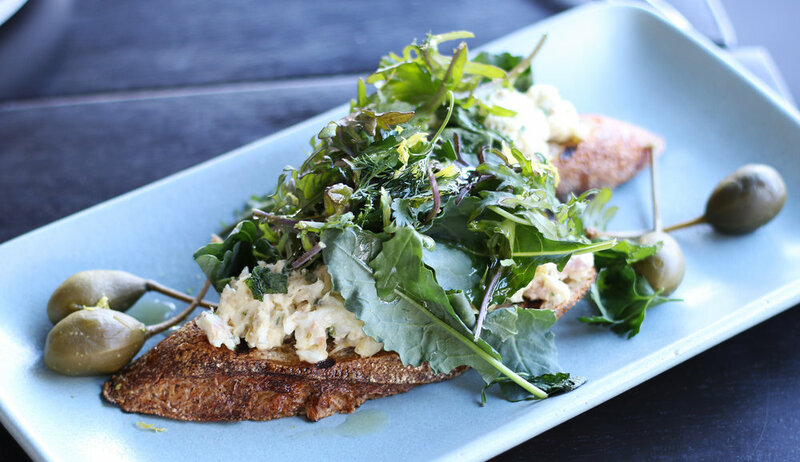 Santa Monica already has a plethora of brunch options. Who wouldn't want to spend their weekend morning/afternoon eating yummy food by the beach? So restaurants entering this crowded space need to have something special to really stand out. Luckily, Native has Chef Nyesha Arrington. The former Top Chef contestant received a slew of accolades when she helmed the kitchen at Leona, where she infused her own background and classic techniques into the California cuisine. At Native, she's working with similar flavors, taking cues from her Korean grandmother to create dishes like Kimchi Latkes, while offering California-focused fare like the breakfast burrito. It's an eclectic and tasty spot for brunch-- and did we mention there's also an extensive brunch cocktail menu? We started off with what, to me, is a very non-traditional brunch offering: soup. The restaurant has a seasonal hangover soup that does exactly as promised, providing a hot, steaming bowl of comfort with a bit of spice and salt to bring even the most hungover Santa Monica residents back to life. This one seemed like a take on a Miso soup, but elevated with a bit of spice. It would be especially great on a chilly day. 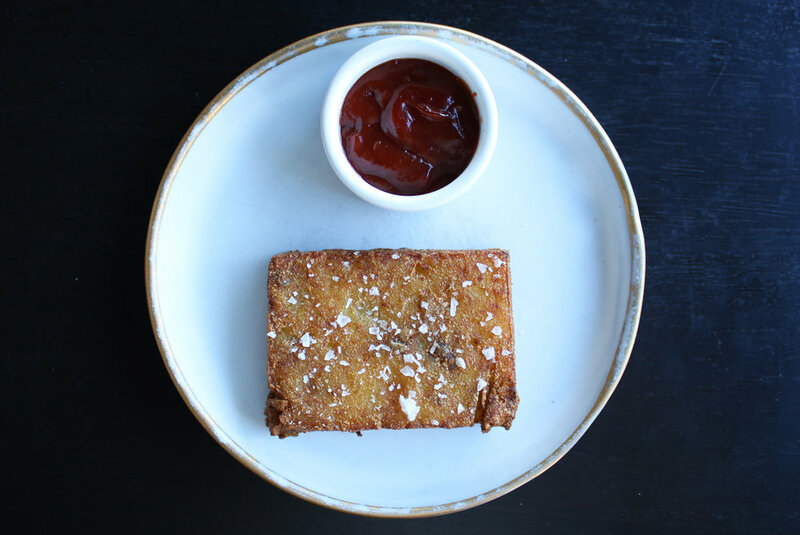 You can't go wrong with hash browns, and the restaurant's take on the diner classic is, as expected, elevated and delicious. The hash browns are especially crispy, salted well, and come with a great smoky ketchup. The stand out dish of the day was undoubtedly the Kimchi Latkes, where Chef Nyesha shows off her adept skill at mixing unexpected flavors in a way that is still approachable and satisfying. I absolutely love latkes, and the addition of the slightly sour, slightly spicy kimchi gave the dish an all-new depth of flavor. I could've easily made a meal out of just these! The Smoked Trout Tartine was another one of my favorites, with the creamy, smoky fish served over a beautiful, crunchy bread. The capers, herbs, and pickled chili were nice additions that balanced out the dish. It's another non-traditional brunch dish, but one that I still really enjoyed. For those who need something more substantial for brunch, the Burrito was a really fun take on a traditional breakfast burrito with thick cut, crispy bacon. It was super satisfying without feeling really heavy or greasy, and came with a fresh salsa for a bit of spice. Overall, our brunch at Native was fantastic! All of the food was fresh, delicious, and the perfect balance of creative and satisfying that you want in the morning. I would definitely love to come back and see what Chef Nyesha has in store for dinner.